DuraDrive DYPA14100F 1/4 in. 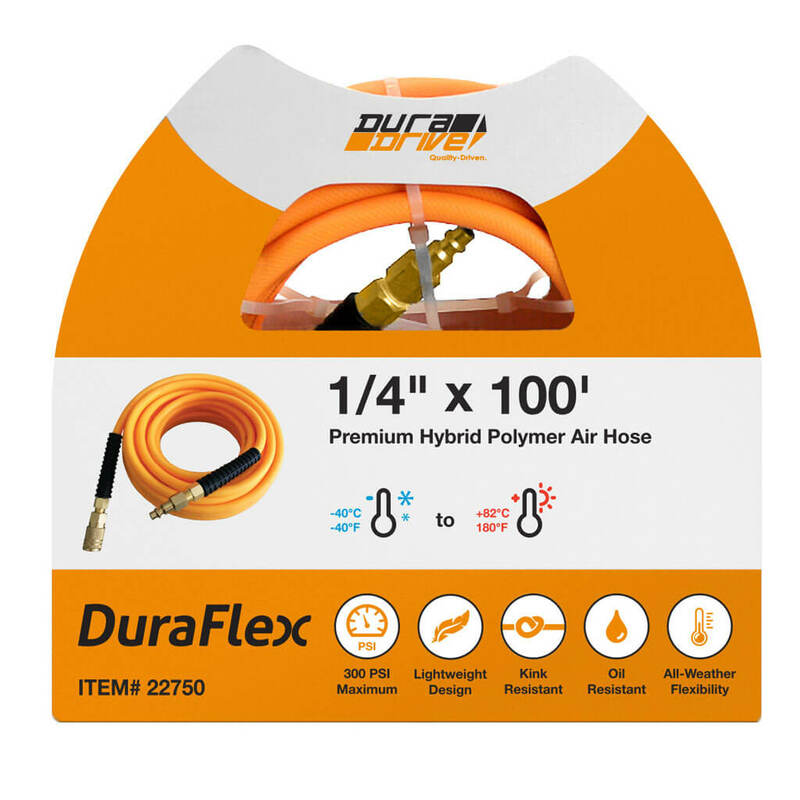 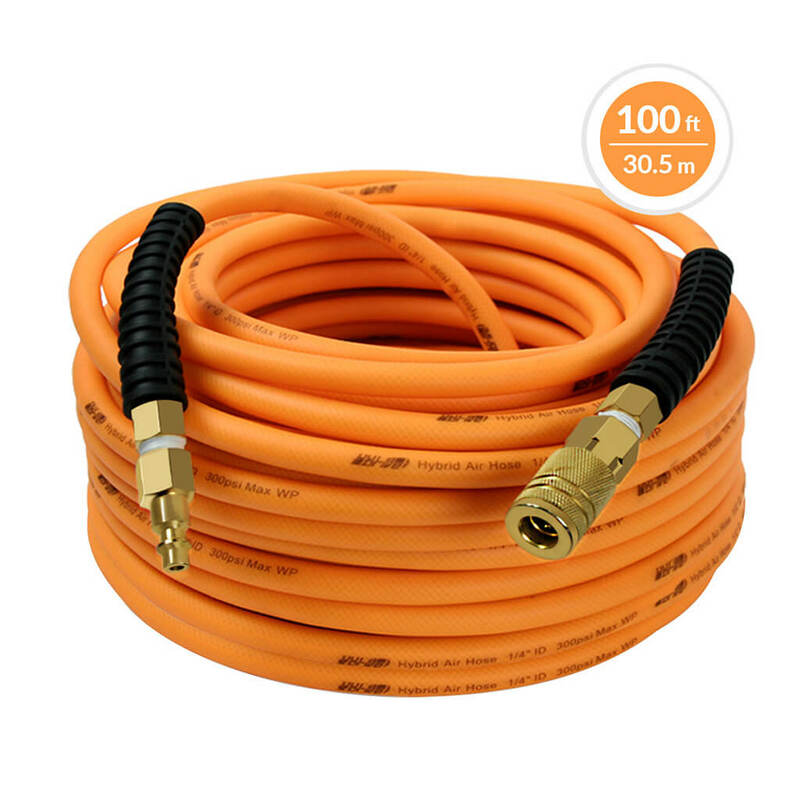 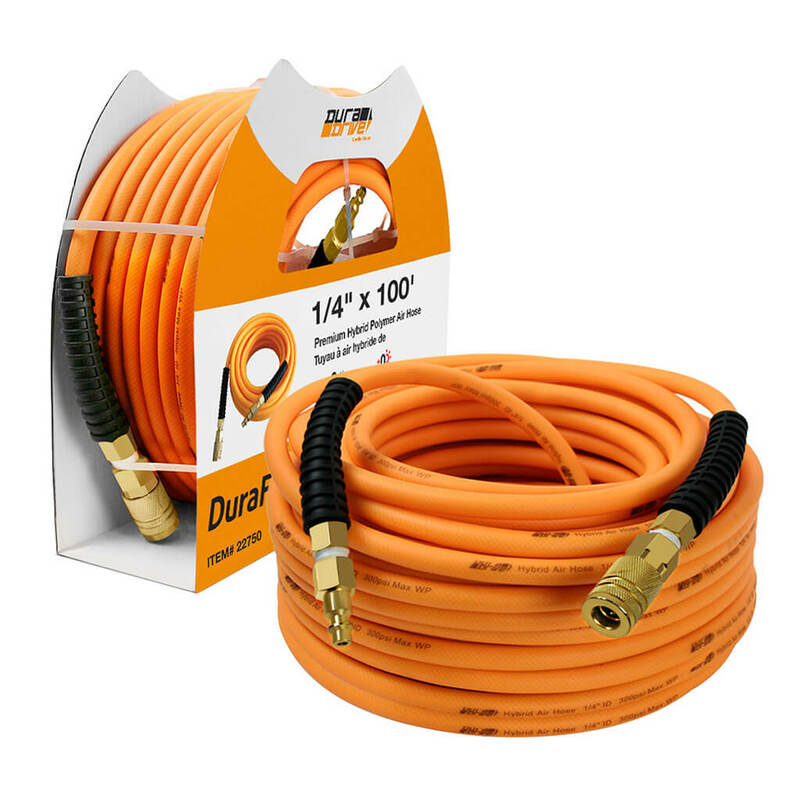 x 100 ft. DuraFlex Premium Hybrid Polymer Air Hose with Swivel Fitting is built with durability for prolonged life. 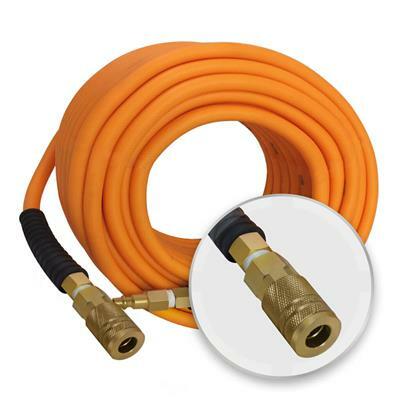 With an outer cover resistant to UV, oil and chemicals, the air hose is tough enough to endure rough surfaces, spills and heavy equipment. 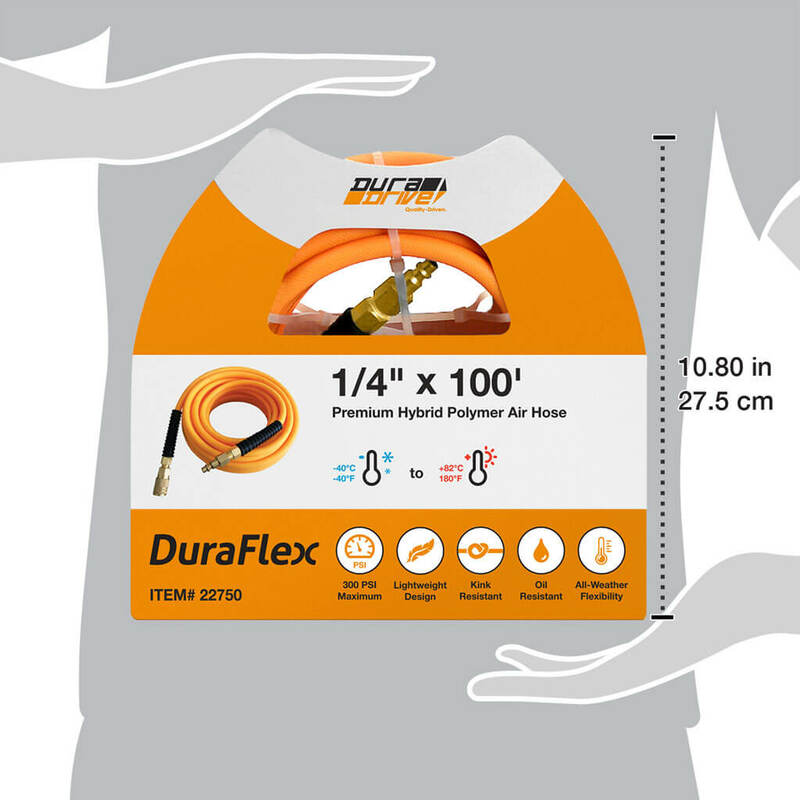 Its resistance to kinks while in use also avoids losing pressure mid-use and the inevitable hassle of straightening out the kink. 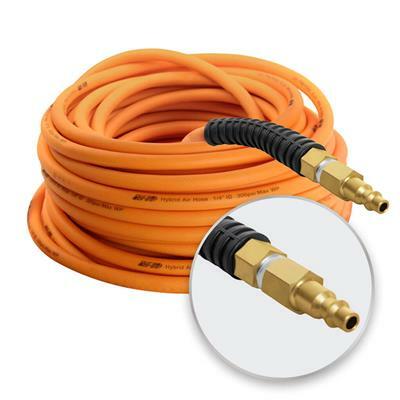 If the hose is no longer needed during a specific time frame, the hose is flexible to be compactly coiled for storage, and the all-weather feature ensures a trusted performance year-round.